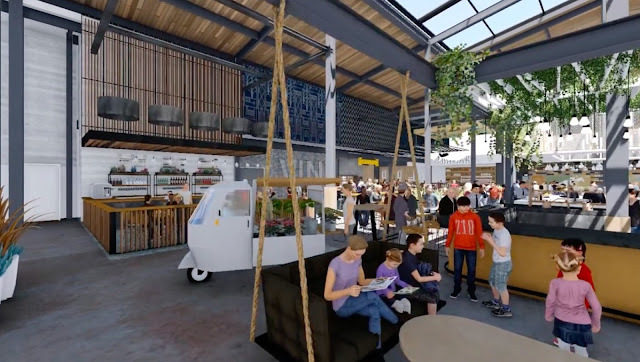 The food hall trend is hitting San Diego in full force. The three-decade-old Del Mar Highlands Town Center will soon undergo a $100+ million redesign with an enormous expansion that will include the addition of a 20,000 square-foot, bi-level, multi-restaurant food hall called The Sky Deck. Heading into a new space that will also house the relocating Jimbo's Naturally, The Sky Deck will be an upscale food hall inspired by the likes of El Nacional in Barcelona, Spain, offering up to ten full-service restaurants under one roof. Each eatery will range in size from 500-3,000 square-feet and have their own unique areas. 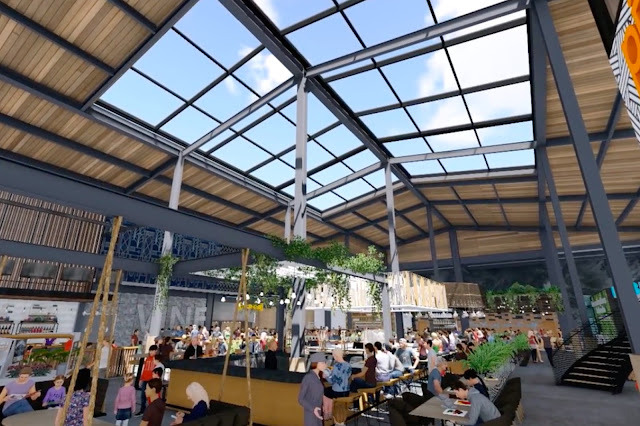 There will also be a central, wraparound bar on the ground floor and an al-fresco beer garden on the mezzanine area. The Sky Deck will be a state-of-the-art facility, embracing the beautiful San Diego weather with 25-foot-high window store-fronts, large roll-up glass doors, and a retractable roof. "Today’s busy consumers demand offerings and amenities that allow them to get everything done in one convenient location," said Patrick Donahue, Chairman and Chief Executive Officer of Donahue Schriber Realty Group. "It’s much more than a shopping center expansion, this is about continuing to be the meeting place or as the name so adequately describes, the town center of the Carmel Valley community." 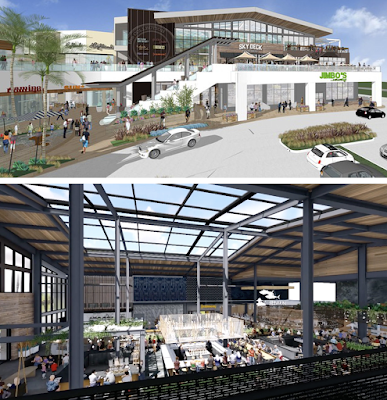 The Sky Deck is part of an estimated $120 million expansion of Del Mar Highlands Town Center by developer Donahue Shriber Realty Group, which is being called 'The Collection' that will result in the addition of 120,000 square feet of new retail, dining, and public space - bringing the center’s total to 380,522 square-foot. 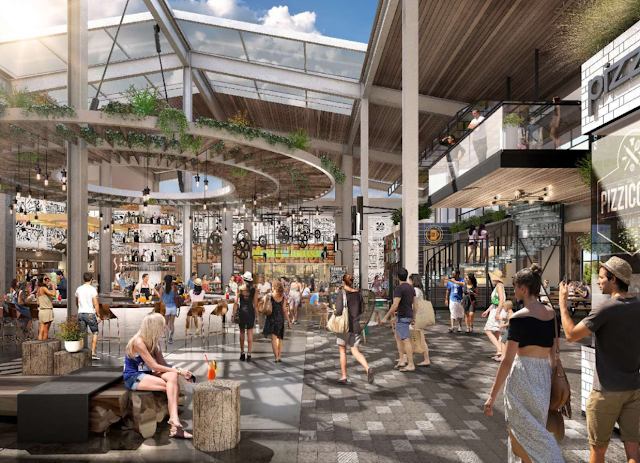 More new restaurants and eateries will be announced as the 2019 unveiling of the reinvigorated plaza nears. Jimbo’s Naturally!, will open a new, state-of-the-art store allowing them to grow from 14,000 to 25,000 square feet. Del Mar Highlands Town Center is located at 12925 El Camino Real in the Carmel Valley area of Del Mar. For more information, visit delmarhighlandstowncenter.com and check out the video walkthrough below.